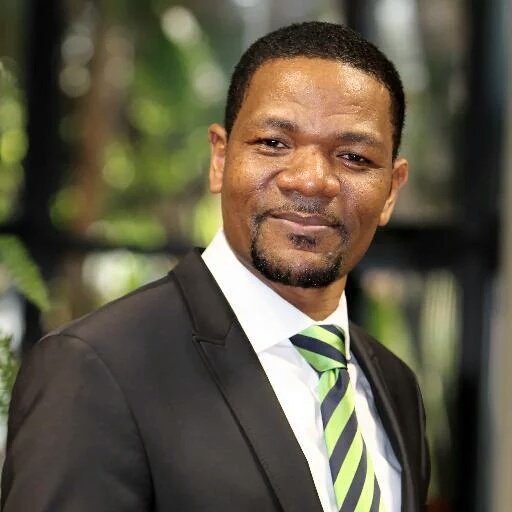 "Dr. Richard Munang is currently the United Nations Environment Africa Regional Climate Change Programme Coordinator. He is responsible for guiding the optimal actualization of UN Environment’s climate resilient development objectives for Africa through coordinating implementation of diverse projects in adaptation and mitigation in key economic sectors especially agriculture, and energy as well as informing strategy and policy development from project lessons. By this, he ensures UN Environment work is demand driven & catalytic to support Africa's policy & technical needs in ensuring climate action unlocks socioeconomic development priorities of food & livelihood security which remain the leading priorities of countries in the region. He is also the UN Environment Ecosystems Based Adaptation (EBA) for Food Security focal person where he coordinates the development and decentralization of policy trajectories and means of implementation aimed at climate proofing & maximizing productivity of Africa’s food systems in over 40 countries. Previously he was the Policy & Programme Coordinator for the UNEP/UNDP Africa Climate Change Adaptation Development programme. Dr. Munang holds a PhD in Environmental Change & Policy from the University of Nottingham, United Kingdom. he also holds an Executive Certificate in Climate Change and Energy Policy Making from Harvard Kennedy School of Government, USA. He has participated in a wide variety of research projects and has published over 300 articles in both international peer reviewed journal and magazines. He has won many awards including but not limited to: the first person to win the prestigious African Environmental Hero Award 2016, he is the 2016 winner of UNEP's recognition highest award, the Baobab staff awards for Programme Innovation amongst others. With rich knowledge, diversified experience, environmental expertise, policy formulation and sustainability of projects amongst others, Dr. Munang pioneered the Africa Adaptation Gap Report which has helped to galvanize a coherent continental strategic climate policy position. He spearheaded the conceptualization, planning and creation of the first ever Africa Ecosystem Based Adaptation for Food Security Assembly (EBAFOSA) which harmonizes in a participatory way, decentralization of policy and implementation actions toward up-scaling EBA-Driven Agriculture with the end goal to actualize sustainable agro-industry powered by clean energy. He has mentored African youth to optimally apply the skills and knowledge acquired in class towards solving Africa’s environmental and development challenges."